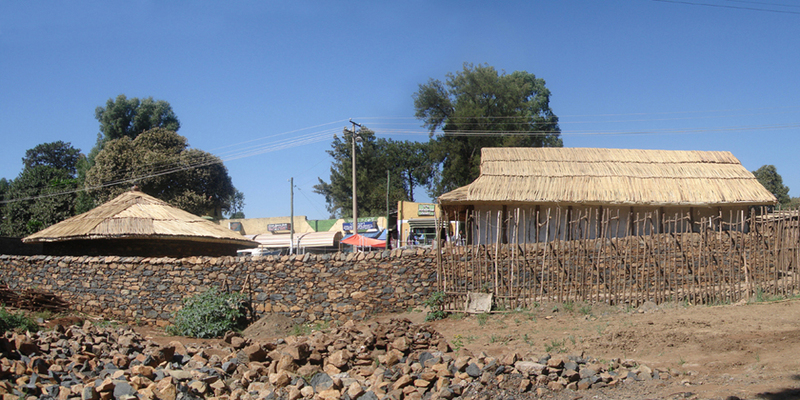 This pavilion is to commemorate the year 2000 in the Julian calendar, most widely used in Ethiopia. NCS was asked by the Embassy of Japan in Ethiopia to create a work to symbolize the partnership between the two countries. This cultural centre is located in Gondar, the second largest city in Ethiopia, Gondar is also home to Fasil Ghebbi, a registered World Heritage Site. The design concept is “Reconfiguration of Values”. In this project we focused on traditional dwellings of both countries. The Japanese Pavilion operates as a socio-cultural center to perform music, dancing, and other performing arts, or to exhibit and sale items related to these arts. On the other hand, the Ethiopian Pavilion operates as a gallery as well as a water distribution depot for the neighbourhood. 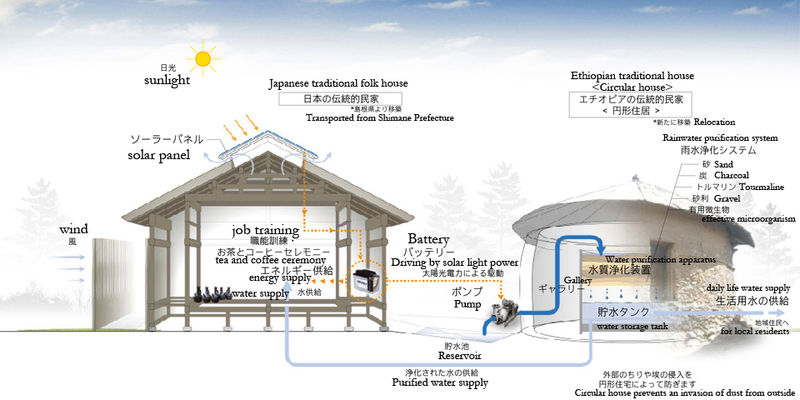 The pavilion is equipped with a system which collects and naturally purifies the rain water. The structural frame used for the Japanese Pavilion was extracted from an old traditional dwelling from Shimane Prefecture, Japan. Under the supervision of Atelier Tekuto, the traditional dwelling was shipped and transported to the site, and rebuilt using traditional materials expect the structural frame and the shoji frame. The Ethiopian pavilion was reusing the traditional Ethiopian circular dwelling which was also a vacant. The structure was transported and rebuilt on site using the skill and technologies available locally. Through re-locating tradition and architecture, the project attempts to create an entirely new approach in how architecture is perceived beyond global and regional limits.